Have you recently spotted black, clustered growths in your bathroom, around your toilet or shower, in your kitchen, or in your basement? Have you been coughing or sneezing when you enter particular rooms? 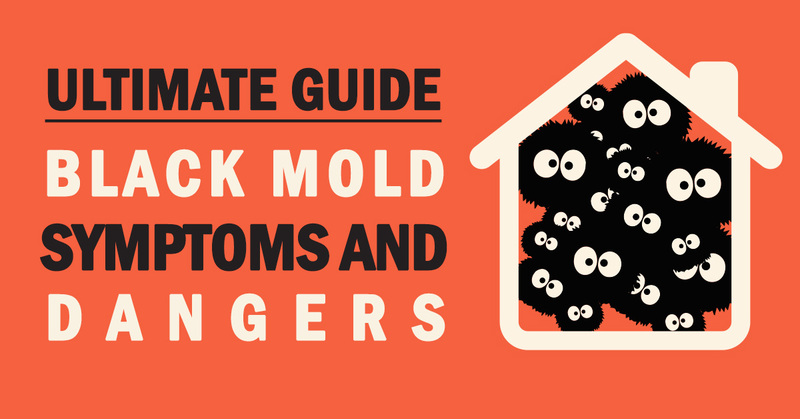 Your home could have a black mold problem that may need immediate attention. 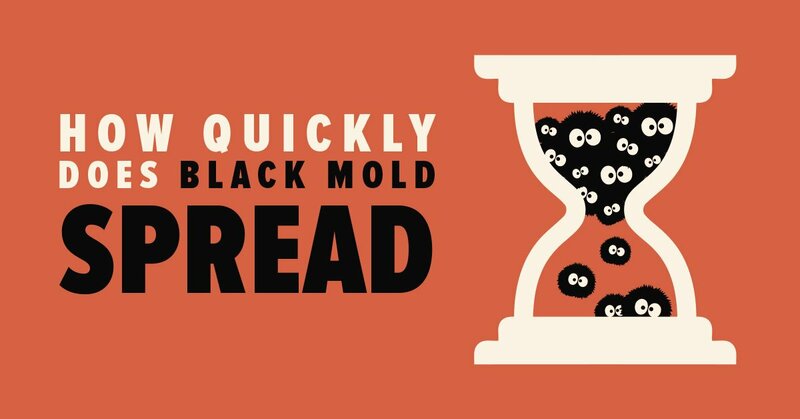 How fast does black mold spread? How does black mold form? What are black mold health symptoms? How to treat black mold poisoning? How to identify black mold in your house? How to prevent black mold growth? 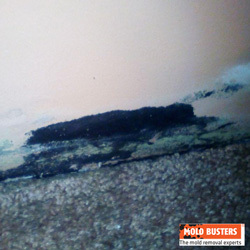 Black mold or Stachybotrys chartarum is usually accompanied by a distinctive odor and is greenish-black in colour. 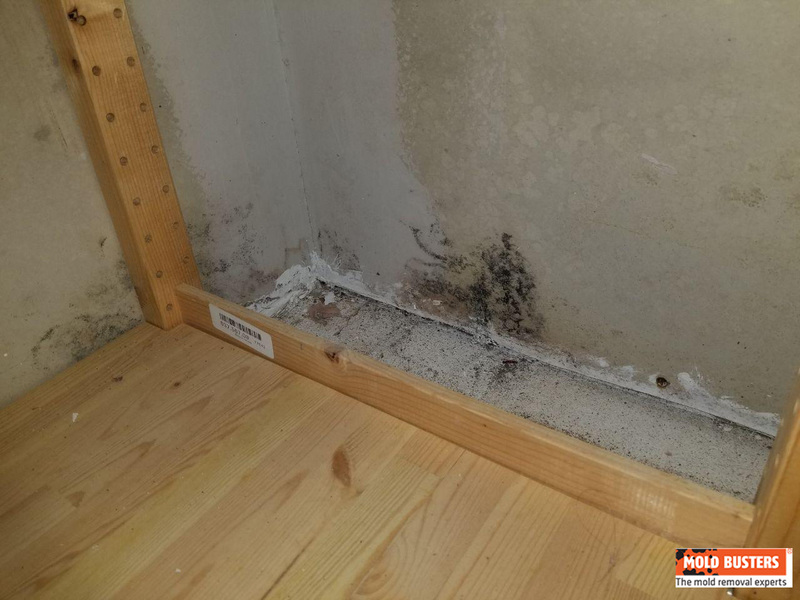 Black mold is one of the most toxic molds that can be found in homes as it produces toxins called mycotoxins, which are capable of causing health problems in humans. 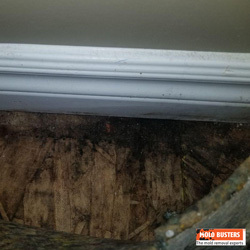 Mold begins to grow as soon as its spores land on a damp, fibre-rich material (wood, fabric, drywall…) and it can spread around the house within 24 to 48 hours. It colonizes in one to twelve days and grows at one square inch per day. In less than a week, it can cover surface areas of several square feet. Unfortunately in most cases, mold is widespread and already a big problem before a problem is even suspected by the homeowners. How fast does mold grow on walls? It doesn’t take too long for mold to grow. It can start spreading on walls within 1-2 days. 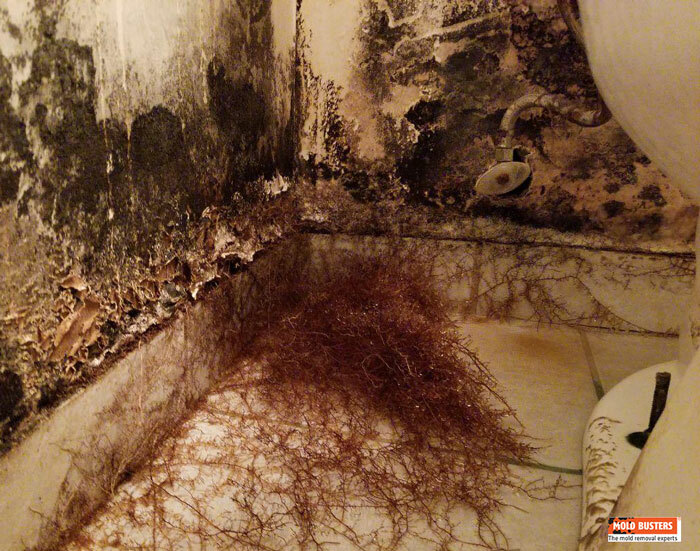 Where else does black mold grow? Any moist surface is susceptible to mold. 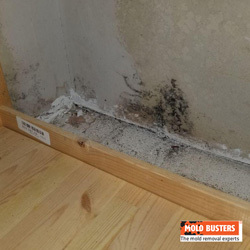 The surfaces that commonly support the growth of black mold, include: drywalls, paper and paper products, floor boards, cardboard, insulation materials, wallpapers, carpets, furniture, ceiling tiles, fibre-board, gypsum board, dust, fabric, and upholstery. 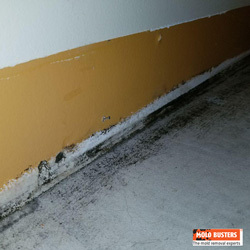 The main reason behind the formation of black mold is moisture, which can be caused by several things, such as, water leakage, lack of proper ventilation, flooding, irregular maintenance, humidifiers, condensation, clogged-up gutters, damp clothes, humid basements, or even water accumulation around the foundation of your house. Can black mold spores travel in the air? Yes. Mold spores are airborne and can attach themselves to people’s skin, clothing, shoes, shopping bags, furniture, carpets, and even pets. Once spores enter your home, they can settle onto any surface and start to multiply. They can also enter your house through open doorways, open windows, and HVAC systems. Mold spores are microscopic and are virtually found everywhere. They are naturally found in the air we breathe, both indoors and outdoors. Since spores are tiny and lightweight, they become airborne easily, every time we vacuum or walk on the carpets or even sit on our couch. Can black mold spread from house to house? Yes. If you have had mold in your old house and you’re moving into another space, it is possible to cross contaminate this new environment. Because mold spores are not visible to the naked eye, it is hard to tell which surfaces are contaminated. Therefore, the mold has to be completely cleaned before you renovate or move to a new home. What is the best temperature for black mold to grow? Mold usually thrives in warm, humid conditions. Temperatures around 70 degrees Fahrenheit or 20 degrees Celsius are ideal conditions for mold to grow and multiply. Can black mold grow in the winter time? Cold, wet and freezing conditions during the winter months is also a good time of the year for molds to multiply. 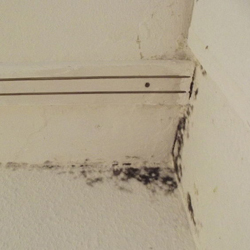 Mold is often found near sources of water where it easily grows and reproduces. We all know mold isn’t welcomed in the home, but did you know too that breathing in the presence of mold can harm your health? There are over 2,000 different species of mold and the most dangerous of all is called Stachybotrys Chartarum, also known as black mold or the “invisible killer”. Why is black mold so dangerous? Black mold releases toxic spores that linger in the air and attack your respiratory health. The potency of these toxic spores has proved to be the most detrimental to human health. 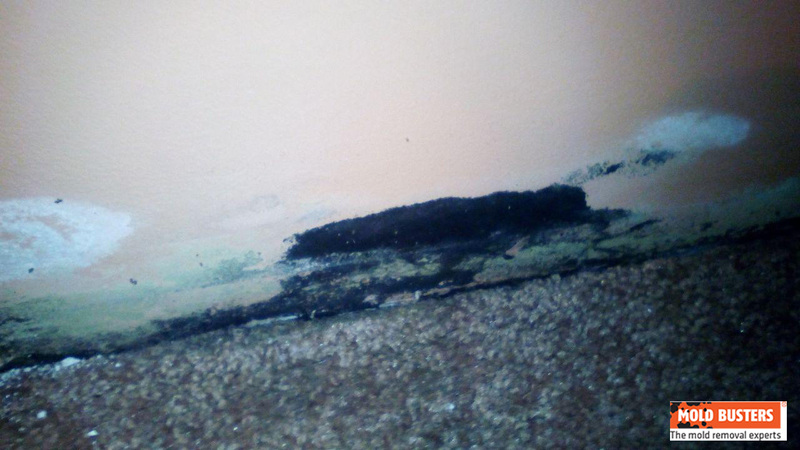 Black mold often appears as slimy and greenish-black. 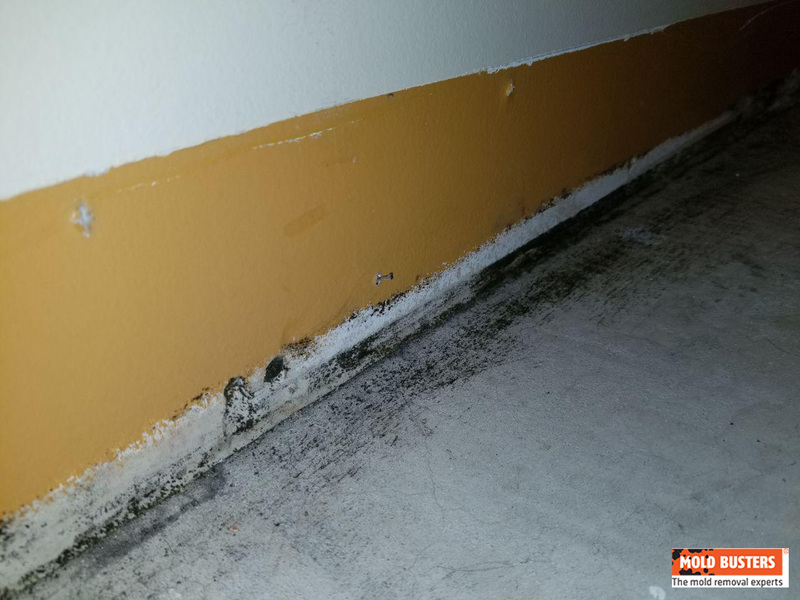 If its water source runs out, black mold can also appear as dry and powdery. Black mold is also dangerous because it’s sometimes difficult to distinguish from other species of mold. Sometimes mold invades spaces that are hard to see and reach. It spreads fast, burrowing into walls and ceilings and hiding in cupboards and under carpets. Quite often, people are exposed to black mold without even knowing it. If you or anyone in your home is experiencing any of the aforementioned symptoms without knowing why, you may be exposed to mold. Black mold should be approached with extreme caution. Tackling black mold without proper knowledge and equipment is unsafe. The suspected contamination should always be examined and removed by professionals. A professional black mold removal service will tackle the contamination with advanced equipment and technology. For instance, protective masks and gear should be worn at all times, to ensure maximum safety. 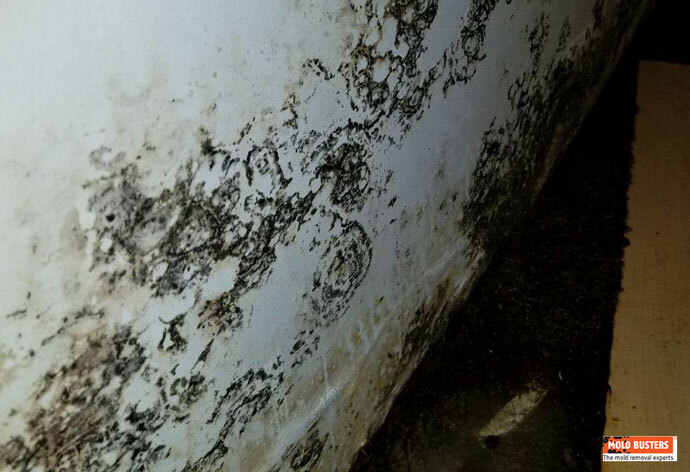 Black mold, scientifically referred to as Stachybotrys atra or Stachybotrys chartarum, is typically black or dark green and often linked to serious health problems. In fact, exposure to black mold can lead to black mold poisoning, or “stachybotryotoxicosis” – a condition that’s dangerous, particularly for young children and the elderly. Even though black mold poisoning typically affects horses, cows, and pigs, humans can become infected if they inhale or ingest the spores. Symptoms of stachybotryotoxicosis include skin rashes (typically around the armpit or other spots prone to perspiration), throat and sinus irritation, burning eyes, and a decrease in the production of white blood cells. If you suspect you’re suffering from symptoms associated with black mold exposure or poisoning, there are some things you can do to improve your health. Avoid mold-contaminated areas. It’s not possible to get better if exposure to the problem at hand continues. Get laboratory blood tests taken to determine whether or not you actually have black mold poisoning, and consult with your doctor to determine what action (if any) needs to be taken to treat your symptoms. This may or may not include taking an antihistamine or a nasal decongestant, as well as using an inhaler if you experience wheezing or trouble breathing. For more severe cases of black mold poisoning, your doctor may recommend immunotherapy, which involves injecting a very small amount of the toxin into your system so that you become immune to it. Hire a mold remediation professional to remove the black mold from your home safely and effectively. If you’re still experiencing symptoms, it could be because your office rather than your home has the mold problem. With approval from your doctor, take 500 milligrams of brown seaweed extract (found in most health food stores) twice a day with water. Brown seaweed extract is a supplement that absorbs toxins in the body and flushes them out of your system. If you have ingested or inhaled black mold, brown seaweed extract will help cleanse your body of the toxins. Keep in mind, however, that brown seaweed extract is not approved by the FDA and that people may react differently to it. That’s why it is important to consult with your doctor first! In conclusion, the best way to avoid the negative effects of black mold poisoning is to minimize your exposure to black mold. You can do this by preventing its growth in the first place. If it’s too late to prevent it and you suspect there’s black mold already in your home, don’t wait to book black mold removal, completed quickly and efficiently by the industry experts. Black mold, typically green or black, in your home can be extremely hazardous to your health. Learn about black mold poisoning and start preventing black mold growth today. 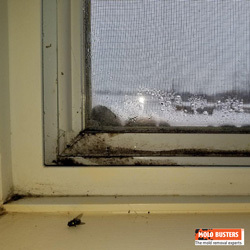 Mold can quickly become a huge problem before any major signs of damage are visible. But the good news is, you can prevent and minimize the threat of black mold in your home by recognizing the signs — the earlier you do, the lesser the damage. No matter if they are current or they happened in the past, moisture is often the cause behind black mold. Leaky pipes, faucets or toilets, window condensation, recent flooding, etc. – all of that creates enough moisture for mold to develop in your home. 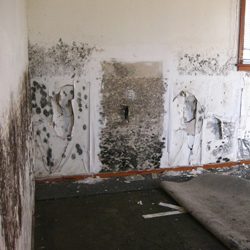 Mold, including black mold, is often related with high levels of humidity. 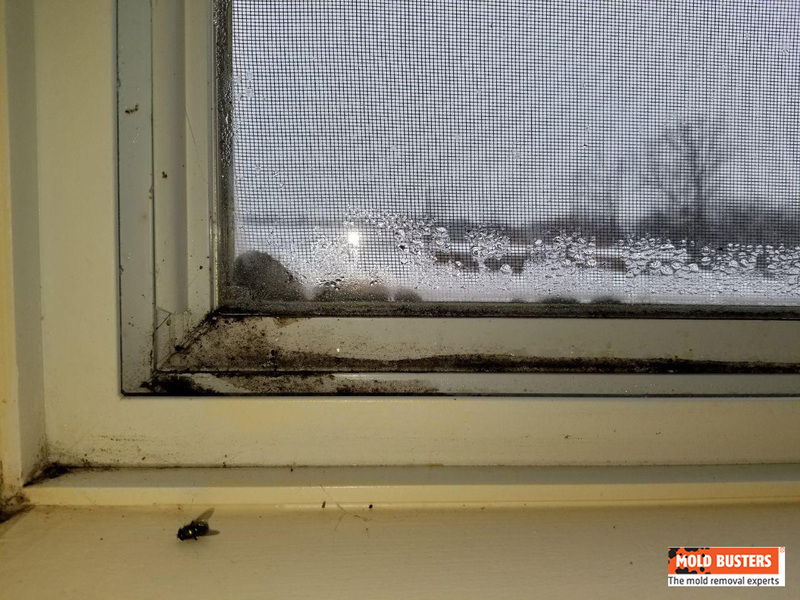 An optimal humidity level would be between 30% and 50%, and anything above that is considered high, which is a perfect atmosphere for black mold, as well as any other type of mold, to develop and grow in your home. Discoloration of walls and other surfaces is a big tell. Yellow water stains on walls are often followed by black mold spots. Even cracked or peeling paint, bubbling, and bulging are signs that there is moisture in or behind your walls. If you cannot see or spot mold growth, you should be able to smell it in the air. Black mold has a specific musty, earthy smell. You should be able to pick up the scent, especially in closed-off areas such as basements or attics. 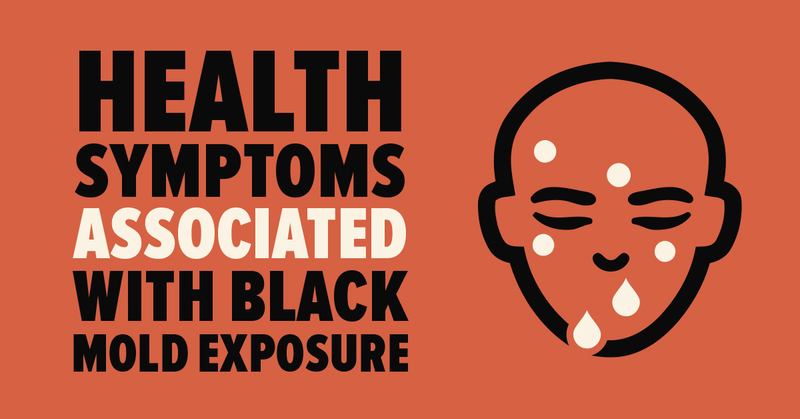 People living with black toxic mold in their homes could be susceptible to upper respiratory tract symptoms such as coughing, sneezing, wheezing, fever, shortness of breath, runny nose, red or itchy eyes or skin, rashes, and other allergic reactions. Black mold is known to cause reactions in people who already have asthma. Other possible health-related issues related to mold exposure include: fatigue, persistent headaches, dizziness etc. What makes black mold a threat is that its spores can be easily inhaled by humans. Those with already weaker immune systems, such as infants and seniors, could particularly be at a risk of being infected. There are several more risks associated with black mold aside the health risks. 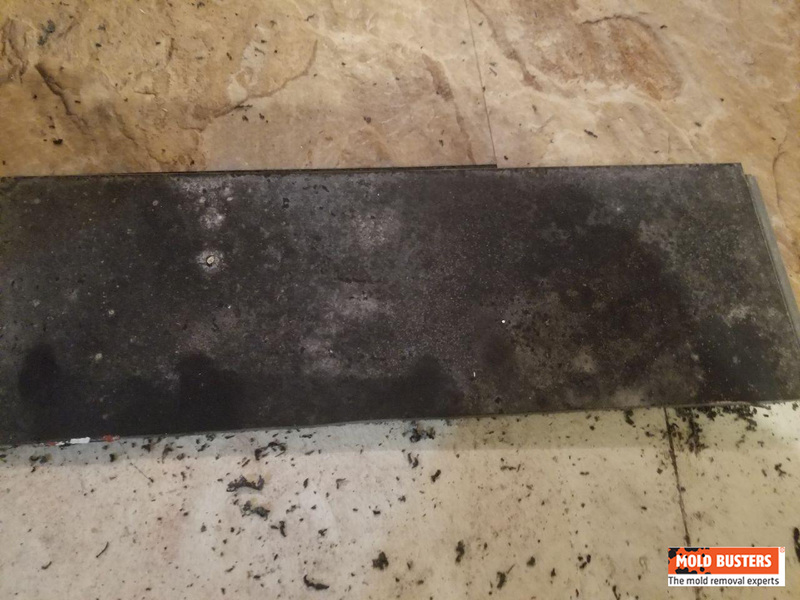 As it spreads, black mold can destroy your personal belongings, cause severe structural damage to your house and compromise your overall quality of life. Conducting routine home inspections and maintenance are the best ways to deal with a black mold problem. Keep an eye out for evidence of water damage and visible mold on a regular basis. The conditions that cause mold should be corrected in a timely manner to prevent mold from growing further. The extent of structural damage black mold can cause to your home, depends on how quickly you act to fix it. Controlling humidity levels. Relative humidity inside your home should never be higher than 50%. On excessively humid days, using air conditioners, ventilation systems or dehumidifiers can help control humidity. Managing day-to-day moisture in your home. Ensuring adequate ventilation in kitchens and bathrooms when cooking, showering, cleaning, etc. Cleaning the house regularly with anti-mold cleaners. To completely get rid of black mold from your home, you must address the root cause of the problem, so that there is no recurrence of mold. 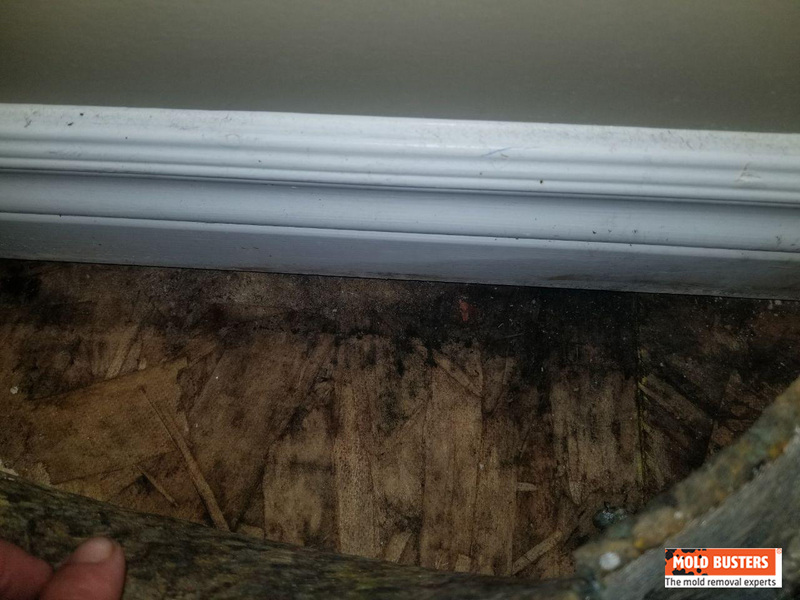 For example, just cleaning up the mold without addressing the moisture problem will not solve the issue because the mold will very likely return. 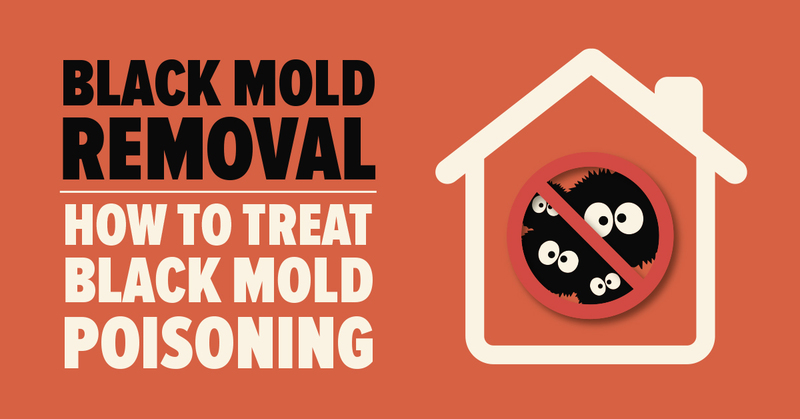 Trying to kill or remove toxic black mold yourself is not advisable. If not handled properly, you could end up disturbing the black mold and releasing millions of spores and mycotoxins into the air. 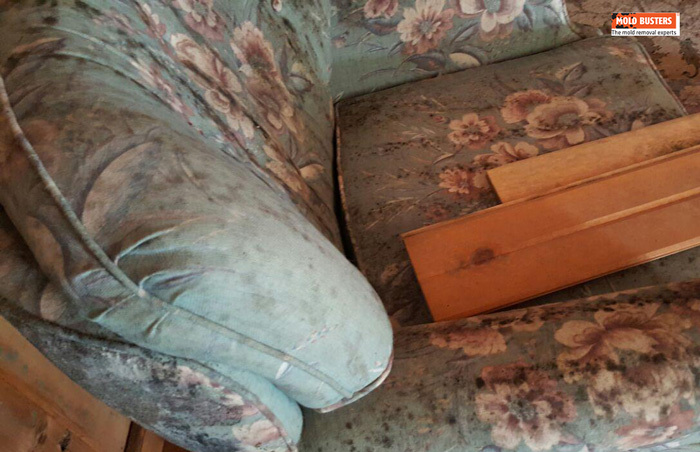 This could worsen you indoor air quality and cause damage to your home. 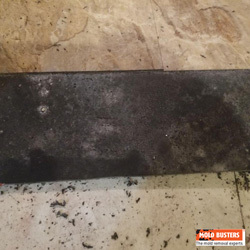 Since black mold is toxic, you’re better off contacting a professional mold remediation company with experience in cleaning mold in buildings and homes. Mold removal specialists will be able to accurately determine the extent of the mold infestation and can suggest the right course of action for your home. If you suspect that your home has black mold—that is, if you can see and/or smell it— call trusted local mold experts, Mold Busters. A healthy, mold-free home ensures a healthy, happy family.